The trend of beard started a few years back, and it is sure to stay for a long time. You will see the models of fashion brands like Giorgio Armani wearing a beard. Even the Hollywood celebrities like Ben Affleck and George Clooney have adopted the beard trend. If you have joined the trend too, then you need to know how to take care of your beard. If you have a curly beard, you should know how to straighten beard without heat and with a straightener as well. The nature of the beard depends on the shape of the follicles. If the hair follicles are symmetrical, you will have a straight beard; if they are asymmetrical, you will have curly beards. Dryness can also cause your beard to become curly. Dehydration and not using the proper oil or shampoo in your beard can make it dry. Many people don’t prefer using the straightener as the heat can be harmful to the beard. It will make the beard brittle. You might even injure yourself while applying heat. So, the options of straightening beard without applying heat are safer. Here are some options for you. You can apply beard relaxing cream. It will make your beard healthy. Your beard will grow, but you won’t get straight beard right away. After applying the beard relaxer to your new beard, the beard will straighten. Beard growth balm can also help to straighten your beard. Your beard won’t be dry, and there will be less split ends. So, your beard will grow healthy. You should maintain a healthy diet to get a healthy and straight beard. Dryness is one of the reasons why beards get curly. This is due to the lack of sebum oils. So, you should eat foods containing Vitamin C and E which promotes the sebum oil production. You should include lemons, oranges, peanuts, spinach, etc. in your diet. You should also eat food containing protein and Omega-3 fatty acids. You should use beard oil to moisturize your beard hair. It will let your beard relax and grow straight. It will also make your bear thicker. Some alternatives to beard oil can be coconut oil, argan oil, almond oil, etc. You can use beard balm to tame your curly beard. You can style easily using beard balm. It may also make your beard look straight. You should use a good beard brush to brush the beard evenly. This way the sebum oil in the hair will be distributed evenly and will straighten the hair. The beard comb will also help in detangling your curly hair and make it manageable. It will help your beard to grow straight. Various products are available to straighten your beard. But you should go to a professional to handle it; otherwise, the chemicals can burn your skin if not applied the right way. You should take good care of your beard. You should use beard shampoo, conditioner, and other products to manage your curly bear. You must use a wide-tooth comb for brushing your beard. If you have curly hair, it can be straightened and managed well with the procedures just discussed. It is always better to avoid the heat. 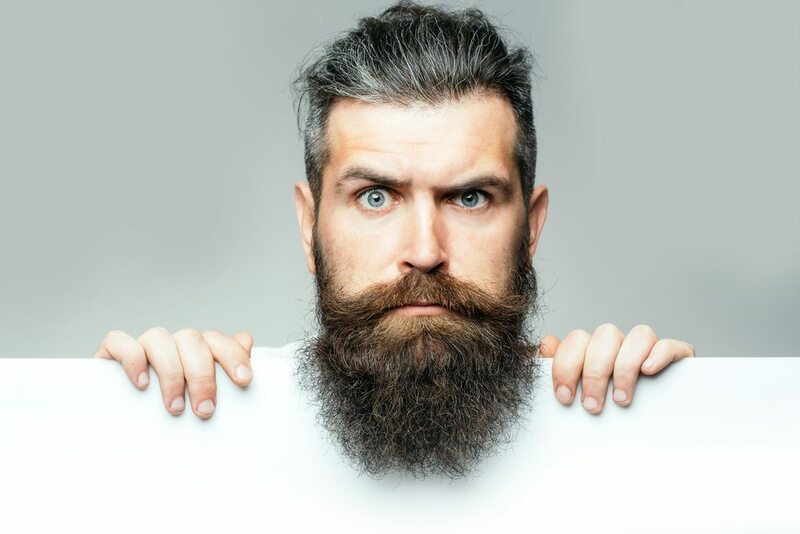 So, avoid using a straightener and use the alternative ways of straightening your beard.